Another month, another playlist. Just like October, this month seemed to be dominated by country music. I can’t help it when so many country artists are putting out new music; I have to take a listen. With that said, here are 8 country tracks I have been playing on repeat. If I’m being honest, I had no idea who Brandon Ratcliff was before he was announced as an opener for Kelsea Ballerini & Brett Young’s spring tour. His debut single “Rules of Breaking Up” was released the same day as the tour announcement, so naturally, I went to take a listen. “Whoever wrote the rules of breaking up, never kissed your lips, touched your skin, had the world at their fingertips,” Ratcliff croons in the chorus. Immediately, I couldn’t help but sing-along at the top of my lungs. It’s a country song infused with R&B and rock, which isn’t necessarily groundbreaking, but Ratcliff pulls it off in a way I find refreshing. If “Rules of Breaking Up” is any indication, then Ballerini and Young picked someone in Ratcliff to whom you’re going to want to pay close attention. If you’re at all familiar with Carly Pearce it’s obvious this new song of hers is inspired by her relationship with fellow country artist Michael Ray. Written by Hillary Lindsey, Gordie Sampson and Troy Verges, “Closer To You” showcases Carly’s distinctive voice and impressive range from the first notes to the last. The song – a #1 waiting to happen – demonstrates how much Pearce has grown as a person and artist since the release of her hit song, “Every Little Thing,” last fall. I already shared my love for Tiera’s new single, “Love You For That,” but I’ll repeat it here for anyone who missed it. Written with John Miller and Hannah May Allison (who appears on this list herself!) and produced by Grady Saxman, the song talks about someone loving you despite your flaws. 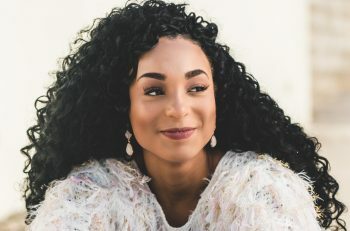 Tiera has a stunning country-til-you-die voice that needs to be heard by more people. This song just proves that 2019 is going to be a big year for her and I, for one, can’t wait to see her succeed. Season 15 is the first time I’ve watched The Voice in ages. Apparently, I’ve missed out on some incredible artists over the seasons, including Lauren Duski. Her voice is soft and silky yet powerful at the same time. She was recently inducted as CMT’s Next Women of Country for the Class of 2019 and her newest single showcases why she was chosen. “Heart Hurt Good” is all about the power of love and how you feel when you meet that person who makes your heart hurt good. You can’t help but believe every word she sings in this song. As I recently traveled home for Thanksgiving, I found myself turning to Dylan Scott’s “Nothing To Do Town” more and more. The theme of small-town living reminded me of where I grew up in Virginia, so of course, I had to play it over and over on my travels. There is something about Scott’s deep, baritone voice that continues to get me every time I hear one of his songs. “Nothing To Do Town” is definitely one you should add to your playlist asap. 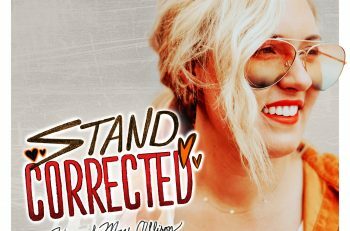 I wrote about Hannah May Allison earlier this month, but I couldn’t help but put “Stand Corrected” on this playlist due to the sheer number of times I’ve played it since its release. Written with Casey Cattie and Lauren McLamb, the song is about the power of love and finding it again when you least expect it. Allison’s distinctive tone comes across as both very modern and very fresh. This song is such a jam and I hope you all add it to your playlists. Kane Brown is known for teasing stuff on Instagram that he’s working on. I mean, he owes his career to social media so it only makes sense, right? Back in February, he teased this song about wanting more than a one-night stand. I immediately fell in love with it, from the catchy tune to the fun, flirty lyrics. Now that it’s been released in its entirety on Kane’s newly released sophomore album, Experiment, I love it even more. Originally, I intended to include only one Kane Brown song on this list, though I could easily add his entire album. But I had to include this song as well for its powerful message. In a genre that, historically, has embraced gun culture, Brown uses his platform to comment on what’s happening in our country and make a clear, bold statement. As you listen, you can hear the pain, despair, and confusion in his voice. “I’m becoming numb to all of this tragedy,” Brown sings in the chorus. It’s genuine, honest, poignant and, without a doubt, my favorite track on his sophomore album. What do guys think of these songs? Let me know in the comments below. Feel free to share your music recommendations with me as well, country or not!